Essays are such kind of writing which debates a definite topic by presenting a thesis and supporting arguments. Basically, it seems too difficult to define the word “essay” when it is common sense that there exist different types of essays today. There are personal essays dedicated to their authors’ memories and experiences; there are literary essays which stand near to poetry, and there are free deliberations and reflections on an interesting subject. What is a formal essay? Formal essays can be defined by the latter definition: they deal with a problem or difficulty (poverty, faith, abortion, war, climate change, education reform, and many others) with a view to finding a solution to it. This does not mean that there can be only one solution. For example, abortion by itself is not a problem; it becomes a problem when contrasted with a religious belief or a given set of moral standards. Formal essays deal with a problem or difficulty (poverty, faith, abortion, war, climate change, education reform, etc.) with a view to finding a solution to it. The most important thing is to know that writing a formal essay requires from you to reflect very strictly upon the topic and to formulate a strong thesis. Here it is not allowed to write freely and without a well-defined topic. You can find such an essay, for instance, in thinkers and writers like Montaigne, J. Locke, S. Zweig, T. Mann, F. Nietzsche. Recently, it has become very popular to read books which combine philosophical reflections with literary narratives (Kahlil Gibran, Jorge Bucay, etc.). The advantage of formal essays is that you are relatively free to reflect upon the subject, and you have only to adhere to the principles of writing such an essay - logical structure, internal coherence, thesis, etc. Philosophical treaties are very hard to read and they are not quite suitable for the wide audience. Tip: while reading, you can write down some useful quotations. These quotes will help you at a later stage when you are to write a formal essay. Do not forget to keep track of them; always note the bibliographical data (author, title, years of publication, page). If possible, also find the original text of citations translated from another language (e.x. : German, Spanish, etc.). Choose your topic carefully to be able to write comprehensively about it. You have to be familiar with the topic; otherwise, you will need more time and efforts to finish the essay. Furthermore, when you write about what you are not interested in, the internal motivation disappears and the final product proves to be unsatisfactory. Think about what your opinion on the problem is. Try to analyze it from different sides and reach a conclusion which seems reasonable to you. Then, set forth the thesis; three long sentences will be fine. The thesis should be clearly and precisely formulated as not to sound ambiguous. It is not necessary to have a counter-thesis in your paper but still this will make an impression on the reader. A paper has to be pluralistic, meaning that all possible points of view should be respected. There is no absolute solution or truth. Hence, your thesis and someone else’s opinion could both be partially true. However, you must use some facts and data to repudiate your opponent’s thesis. Many bloggers and internet users out there prefer writing emotionally instead of supporting their opinions with reliable arguments. Do not copy them! Support the thesis with reliable and relevant arguments, which means arguments that can be verified easily by checking their sources. You need to attach a list of titles that you have referred to throughout the formal essay. Without references and bibliography your paper will seem unreliable. How do you start a formal essay? rewriting and revising and proofreading and editing. Following these steps allows you to write a well-thought out formal essay that doesn’t have any gaps. The first three steps require deep thinking, the fourth step requires research and the remaining steps require a keen eye and attention to detail. What is the difference between an introductory statement and a thesis in a formal essay? A thesis statement explains your overarching point about the formal essay while outlining your topic and what you plan to prove about your topic. A good thesis statement is informative or persuasive and presents your point of view. An introduction is a paragraph that presents your topic and tells your point of view. It is the writer’s first impression to the audience as it shows your writing style and sets the tone for the formal essay. A good introduction grabs the audience’s attention and sets the stage for the supporting paragraphs to come. The thesis statement is found within the introduction. Is it a good idea to start a formal essay with a quote? A formal essay can be started with a quote as long as it is relevant to the topic and grabs the reader’s attention. Whether you start with a serious quote from an authoritative person or a funny quote, the aim is to grab the audience’s attention and add value to your formal essay by supporting your main point. Once this is done, you can rest assured it’s a good idea. Is it okay to use "I" and "our" in a formal essay? The use of these words depends on two factors: whether you are writing a humanities paper or a scientific paper and your markers school of thought. Generally, you are told to avoid their use in a formal essay. However, as times have changed, some teachers accept it while others don’t, so it is best to seek advice from your teacher. Is it appropriate to use figurative language in a formal essay? Yes, figurative language, when done appropriately, can add value to your formal essay. Writers such as Shakespeare have used figurative language to enhance their writing, as it can help with painting pictures for your reader that other language could not. Why are contractions disallowed in formal essay writing? Contractions are a part of informal writing so it cannot and should not be used in formal essays. The use of contractions in a formal essay is acceptable when the topic of the essay is about contractions or you are including an idiom or direct quotation in your essay. What tense should a formal essay be written in? Some teachers will advise you to write in present tense while others encourage past tense. Both can be acceptable depending on the type of essay but the general rule is to be consistent with whichever tense you use throughout the essay. What is the best way to wrap up a paragraph in a formal essay? The best way to end a paragraph is to restate the main point and close with an impression sentence that closes that paragraph. The best way to end a paragraph of a formal essay is to restate the main point and close with an impression sentence that closes that paragraph. How do you write a good interesting conclusion for a formal essay? A good conclusion summarizes all the main points of the essay while linking all the paragraphs of the essay. The point of the conclusion is to close the essay and this can be done using a reference or quote as long as it adds value to your formal essay. It is not so difficult to write a formal essay. You only need two things: a good topic and good arguments. 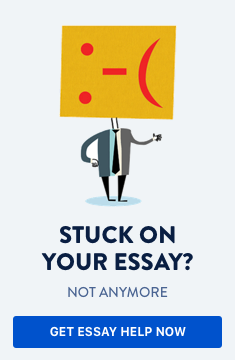 If you need help with writing your formal essay click the button below.